THE RETURN feels like an ending to me. When David Lynch calls it a "feature film in eighteen parts", to me that implies that it's a complete piece. Also, one thing that I love about the Roadhouse music scenes that many of the songs are neat little reflections of the show's themes and characters, and on re-watches the first Roadhouse song, "Shadow" by The Chromatics, comes off like a signpost that signals the end ("Shadow take me down/for the last time"). I almost hope this is the end because I think that's a lovely way to set the tone for it. I know there are vaguely optimistic quotes from Mark Frost, Kyle MacLachlan, Showtime, etc. about the future of the show, but you have to take into account that all of these people have signed contracts forbidding them, under penalty of death, from revealing anything, even the tiniest sliver of information, about what's coming up. So, you have to take to their responses to interview questions about "season 4" with a grain of salt. They're giving perfect, positively spun non-answers. We're going to have to wait until after Sept. 3 to hear their REAL answers. So, that's what I think. This show has taken me by complete surprise many times though, so I'm not betting on anything. If Lynch and Frost have a vision for future Twin Peaks stories, I'd be thrilled. If you were in die hard Twin Peaks mode and going to do this in the span of several days or a weekend, the Roadhouse scenes followed by the next Part's intro would make decent intermissions if nothing else. if you were in die hard twin peaks mode you wouldn't want 17 intermissions. I would like to see this as a film, i think alot of the sections would work better as 2 or 3 hour chunks rather than one hour standalone episodes. Alot of the so-called ' weaker episodes' seem weak just because they are slower paced than what lies before or after them. Watching it in longer parts without constant starting and stopping for bands might allow the structure of the whole thing to breathe more ( leaving and going back to characters within the space of a few hours rather than a few weeks) and the patterns and repetitions would be more self-evident. As would the anecdotal/ digressive structure. At any rate, when this is over, i will re-watch it, but without the bands / the credits / and the intros. That way i suspect it would have rather more forward movement than the weekly installments allow. I've never watched a fan edit of anything, and probably never will. But this series I think would lend itself to different edits. I would be really pleased if the Blu-ray release incorporated different edits. It would be a first of its kind i think. An edit for watching marathon style. With opening credits and the roll of closing credits removed. An edit to watch certain character storylines. Like a Mr. C edit, a Dougie edit, an FBI personnel edit, a Town of Twin Peaks edit. Etc. Mr. Jackpots wrote: I've never watched a fan edit of anything, and probably never will. But this series I think would lend itself to different edits. I would be really pleased if the Blu-ray release incorporated different edits. It would be a first of its kind i think. An edit for watching marathon style. With opening credits and the roll of closing credits removed. An edit to watch certain character storylines. Like a Mr. C edit, a Dougie edit, an FBI personnel edit, a Town of Twin Peaks edit. Etc. I would never want most of these things, and Lynch would never allow most of these things. He's famous for his refusal to do "director's cuts" or anything like that. If he wanted to do that he'd have done it by combining FWWM with TMP. Lynch wants the audience to see what he released, as in most cases he had final cut. He considers the final cut as the true official work, almost sacred in nature. That said, The Return comes to us in a highly unusual format, so I would in fact very much like there to be an option to watch the entire thing with only one intro, and only one final credits crawl, and none of that in between. I doubt that Lynch would do this, but I don't think it's entirely out of the realm of possibility. If he did it, I'm pretty sure he'd leave in all of the band segments, at their full lengths, and simply move all of the credits to the end of the 18 hours. Yeah, the only "edit" I would be interested in would cut out the opening and closing credits. The roadhouse performances are very much a part of the show/film. Snailhead wrote: Yeah, the only "edit" I would be interested in would cut out the opening and closing credits. The roadhouse performances are very much a part of the show/film. I'd be happy with a 'View All' option that gives an alternate version of the closing songs without the credits rolling over the end music on no opening titles after part one! While I've been very frustrated watching the series on a weekly basis, I suspect I might treat it more kindly when I watch it again straight through. I genuinely think I will watch a season four if it happens. I think it might if the bump in subscriptions has proven to be decent. There's been a distinct lack of Dale Cooper in this season and I'd love to see a season four with Cooper perhaps running a Blue Rose FBI field office at the Twin Peaks Sheriff's station, maybe with Harry coming back for a while as well. It's odd to me that some people are assuming a "season 4" would look more like the original series, as if TP:TR is some sort of extended prologue/interlude. When given the opportunity to return to the world of TP for quite possibly the last time ever, THIS is the story L/F chose to tell. They're not interested in looking backward or doing a traditional sequel-season like The X-Files. They weren't interested in doing "season 3," which is why they consciously didn't call it that. They've moved on as artists, and they want to tell different types of stories in this world now. This isn't an appetizer, it's the main course. And if they were to find another idea that inspired them both to return again, it would look very different from anything that's come before, including TP:TR. I certainly understand frustration at this; but to be hoping for the "Cooper living at Dead Dog and solving crimes with Harry" version of the show at this point seems to me a bit like the teenage boy who's had his heart broken by a girl but swears she'll change if he gives her one more chance. pinballmars wrote: ...you have to take into account that all of these people have signed contracts forbidding them, under penalty of death, from revealing anything, even the tiniest sliver of information, about what's coming up. So, you have to take to their responses to interview questions about "season 4" with a grain of salt. They're giving perfect, positively spun non-answers. We're going to have to wait until after Sept. 3 to hear their REAL answers. I thought that their particular NDAs had a shelf life of five years? You have literally dotted every I/crossed ever T that I have been very forth right on Twitter. Admit to never having used FB. I have no family left and as a Musician treasure my privacy. Not possible in the modern world but I do what I can. I have never doubted, there would be a 4th Season. I do not believe we are wrong but also concur regarding being proactive ...Now! Do not wait, then react folks! On an even more personal note: LOVE that you mentioned C.O.O.P! I still have my shirt...loooking for it to vpost pic lolProbably, Wikiable or in some form available , Wayback machine what have you but I know that no one in my rather bizarre,eclectic you betcha but none the less vast group of friends no one knows what it mean's unless they experienced all of TP, the jaw dropping response to FWWM at the Premiere and how many times C.O.O.P. saved or at least did everything we could as ABC kept...well you know. Obviously pumped for tonight. Thought 14 was astounding actually rivalling Ep 8 and even I did not think David was going to go that far again. sewhite2000 wrote: I love how you put "express pessimism" in quotes as if I just made that up. Read the article again. The guy's very first words are "I don't think so" when asked if there will be another season. It feels like you are taking a lot of comments about this article to heart. He's quoting your quote - which is legitimate in the context of the article... however the article is a complete non event... He says he doesn't think so... then it depends on conversations with Lynch, and then that he is out of the country and they are purposefully not speaking to each other until this run is over. I think he is expressing pessimism as you said... but he seems 100% certain that he's not sure. I put it down to the fact that he doesn't know whether Lynch wants more or not. He cannot talk about it from a Showtime perspective until they know exactly how much of an impact the show has had - but from an uptake to the viewing platform and critical acclaim it seems to be all very positive. There have been infinitely more postive reviews than negative. On paper - Showtime would be crazy to close the door on this at the moment. And he doesn't. He is "cautiously pessimistic", about it. It seems the ball is in Lynch and Frost's court as to whether a conversation about Season Four (irrespective of how that particular line of enquiry would even end) will happen once Episode 18 has aired. Everyone is playing their cards very close to their chest and Vanity Fair took a one paragraph (at most) quote and tried to create an article about it. And now I have written an almost comparable sized piece about how that was what that article was about. Not "Fake News" - but definitely a "Slow News Day!" A bunch of people were asking what Showtime's feelings were about the show and its chances of renewal. I provided a link to the only quotes from the only official source that I think has been given. No one said gee, thanks. Instead, my link was immediately dismissed by one person as "click baity", and two other people then dismissed it as having no substance whatsoever, when in fact Nevins says the words "I don't think so" when asked about the possibility of renewal. That sounds like substance to me. I don't care about the article one way or another. I hope it's wrong. But no one else had provided any information or answers to these questions, and my sincere efforts to be helpful were pretty much blocked out to half court. So, I am annoyed by that, if you want to call that taking it personally. Somebody could have said "Thanks for the info, but ..." But nobody did. It wasn't an attack on you. No idea why you were treating it as such. The content of the article bore practically no resemblance to the headline - typical clickbait. It was me that said it was clickbaity and I stand by it. I'll reiterate - It was not an attack on you. I don't think I have ever taken offence for not being thanked for something on a forum, though. Not even sure how to broach that. It's nice when you are thanked for something but I wouldn't get annoyed for not being thanked to that extent. Mr. Reindeer wrote: It's odd to me that some people are assuming a "season 4" would look more like the original series, as if TP:TR is some sort of extended prologue/interlude. When given the opportunity to return to the world of TP for quite possibly the last time ever, THIS is the story L/F chose to tell. They're not interested in looking backward or doing a traditional sequel-season like The X-Files. They weren't interested in doing "season 3," which is why they consciously didn't call it that. They've moved on as artists, and they want to tell different types of stories in this world now. This isn't an appetizer, it's the main course. And if they were to find another idea that inspired them both to return again, it would look very different from anything that's come before, including TP:TR. I'm the only person that mentioned Dead Dog Farm, so I'm not sure if the majority of your reply was intended for me. If so, your summary of what I laid out has been distorted in the reduction. To elaborate: I imagined Cooper living as a recluse at Dead Dog Farm, intuition and memories intact but shame and the loss of 25 years being a factor that has him largely out of the public eye, living more for outings in nature. Hermit Coop if you will. And to further detail what I had sketched out for Harry, it would basically be that he had found a "back door" into the Red Room / Lodges while comatose in the hospital, gone places and "seen things" during those visions -- things that have him questioning his world views, placing him in a strangely curious frame of mind. This would kind of make him the central figure in a very dark reckoning where he relies on Dale's insight coupled with his own history of investigative research. If anyone was still on the path to spiritual discovery and fulfillment, it was Harry. To summarize, I'm imagining something even stranger than the current season, with a very rainy and thematically introspective backdrop. So yeah, an X-Files sequel season sounds pretty disgusting and that's not at all what I had in mind. I love this season and don't view it as a misstep, nor would I want things to go back to how they were. Having recently rewatched both of the original seasons, it was a bit jarring to revisit the huge amount of embarrassing nonsense in much of Season 2 following the big reveal. Things really fell apart there. My opinion is that the current story is getting things back on track. With that said, retread isn't on my list of wants. You may not have seen my reactions to each Part, but they are filled with praise. One thing that's so good about the current story is the fact that the creators took many risks, and subsequently what we have isn't stale or predictable. The only way that I could potentially want a new season to "look more like the original series" would be regarding the visuals, but that's not really part of this discussion. Mr. S - My reply wasn't directed at you; sorry for the unintended implication! It was largely in response to Gabriel's post, really. Honestly, I didn't want to target my reply TOO specifically at what Gabriel said or to seem like I was singling him out. His post prompted mine, but I wanted to speak more generally to the sentiment I've seen expressed a few times in this thread. So to generalize my reply more, I threw in the "Coop living at Dead Dog" thing, which I recalled being mentioned earlier -- but I didn't recall who said it or in what context. Completely random tangent, but Harley Peyton's recent interview where he says L/F never discussed any S3 story plans whatsoever with him was interesting. Bob Engels has talked about a time-jump-forward with Coop as the town pharmacist, which always sounded really random to me. Peyton was senior to Engels; so it seems weird that L/F would have taken Engels into their confidence but not Peyton. Yes, I know DKL and Harley had a falling-out, and obviously DKL and Engels talked a lot during FWWM...but Engels's version of S3 always sounded a lot more Mark than David to me anyway, and I really can't see Mark cutting Peyton out of the circle of trust. Engels's memory seems pretty suspect a lot of the time. I wonder if the "pharmacist" thing was actually discussed or just some kooky idea Bob had? I have no idea what will happen. I've got all this stuff, and it makes sense to put it in this thread. If it’s a success, could there be more? Is the limited series definitely the end of the Twin Peaks franchise or you would be open for more? Do you see yourself making features for television now? Will there be more Twin Peaks after this? "Would you do it again, down the road?" If David Lynch wanted to do another season of Twin Peaks, would you do it? Last edited by Jasper on Thu Sep 14, 2017 11:03 am, edited 13 times in total. 1. Wishful thinking by those who aren't so into The Return, or who like The Return, but would also like to see a more Peaks-centric season. 2. 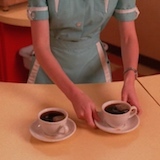 David Nevins, Showtime CEO having said of The Return that “the core of it is Agent Cooper’s odyssey back to Twin Peaks.” The logic here is that he's trying to get back to Twin Peaks (whether he knows it or not), and will get back to Twin Peaks, so Twin Peaks would be a plausible starting point for a season 4. 3. The amount of time spent in Twin Peaks has generally been on an upward trajectory with each new part (with some exceptions, like part 8, where we only visit Twin Peaks for "The Nine Inch Nails"). Again, I don't know what Lynch and Frost would come up with, although I'm sure they've already got plenty of stray ideas lying around. They've certainly left a lot of stones unturned (including major things like the fate of Chester Desmond). Desmond is a Huge one for me. Also feel this thread has lost focus so gone. There will be more. Trust. But be patient. Everyone's on board. Let's the dreamed awaken.